As the XC1 Open Pro class took it it was a race to the holeshot line. Kailub Russell and Thad Duvall had an intense battle throughout the last half of the race on Sunday. 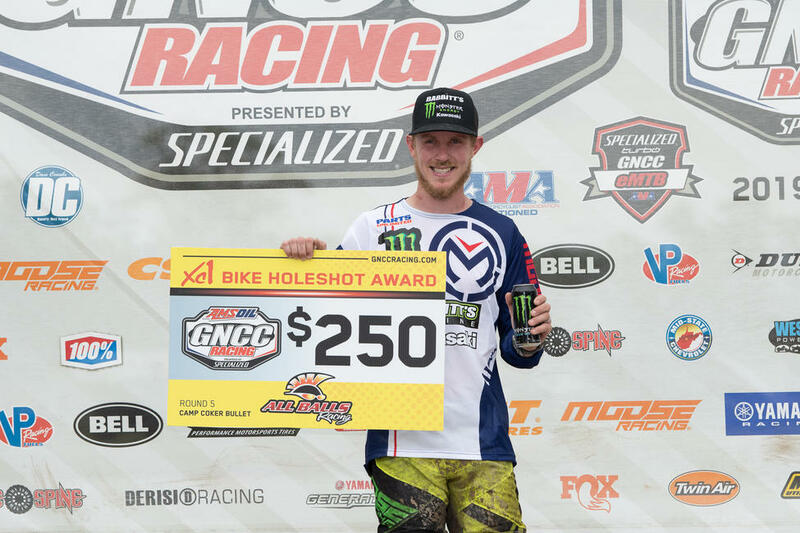 Jordan Ashburn picked up an extra $250 after earning the All Balls Racing holeshot award. 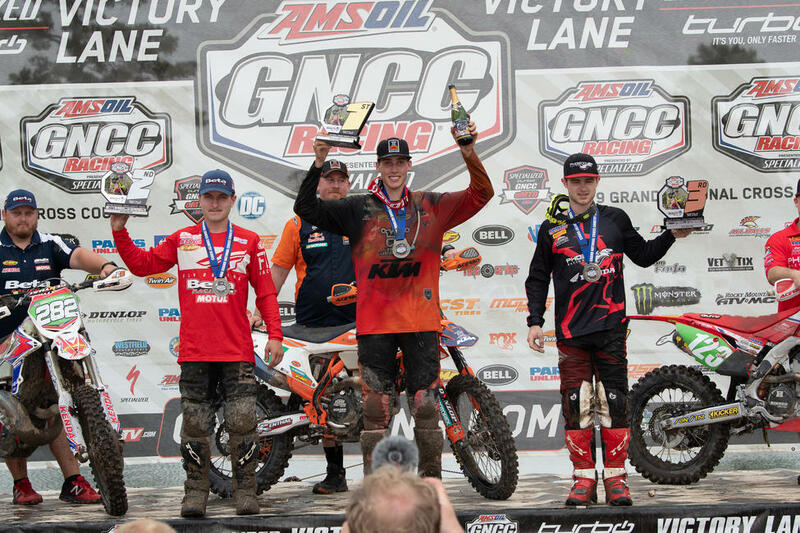 Kailub Russell (center), Thad Duvall (left) and Steward Baylor Jr. (right) rounded out the overall podium at the CST Tires Camp Coker Bullet GNCC. Ben Kelley (center), Michael Witkowski (left) and Austin Lee (right) earned the top three in the XC2 250 Pro class. 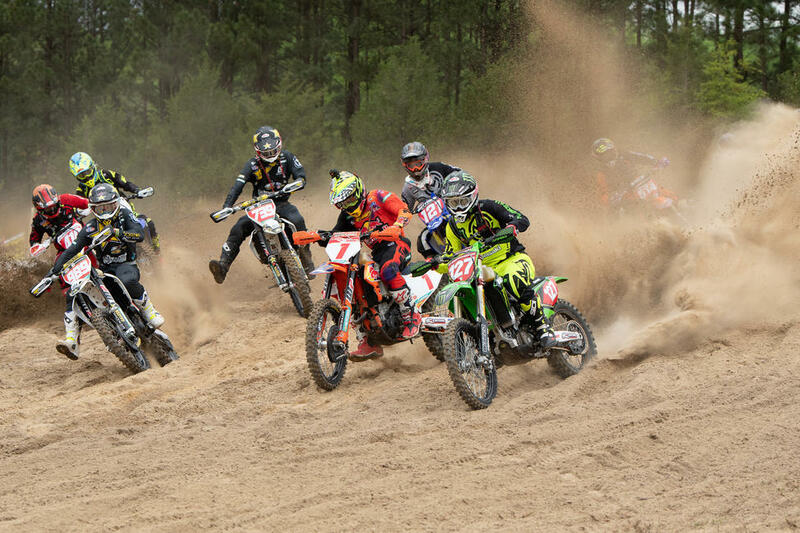 Jesse Ansley (center), Cody Barnes (left) and Anthony Federico (right) earned the top three spots in the FMF XC3 125 Pro-Am class. 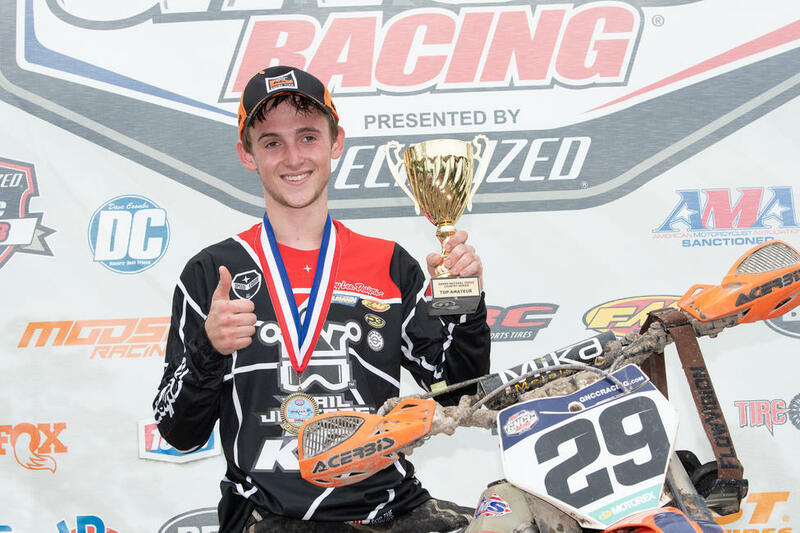 Simon Johnson clinched the Top Amateur honors and the 250 A class win in South Carolina. Tayla Jones earned her third WXC win of the season, and the 10 a.m. overall win. 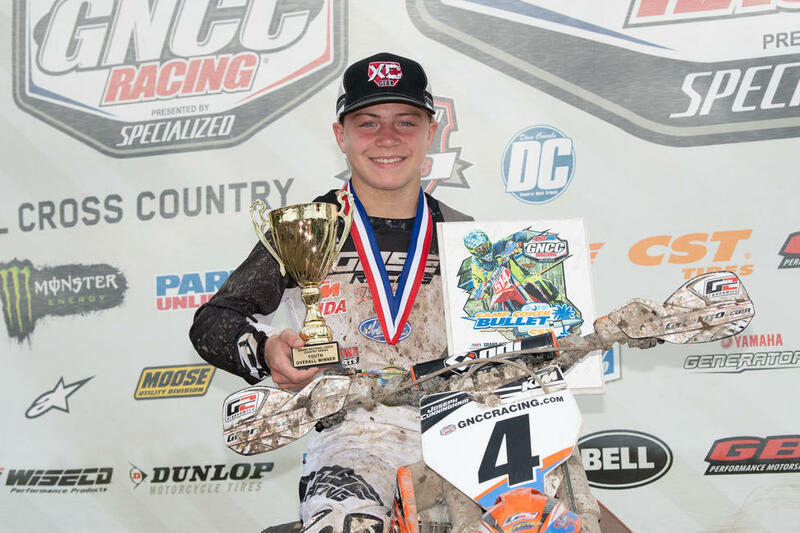 Joseph Cunningham earned his fourth-straight youth overall and YXC1 Super Mini Sr. class win. 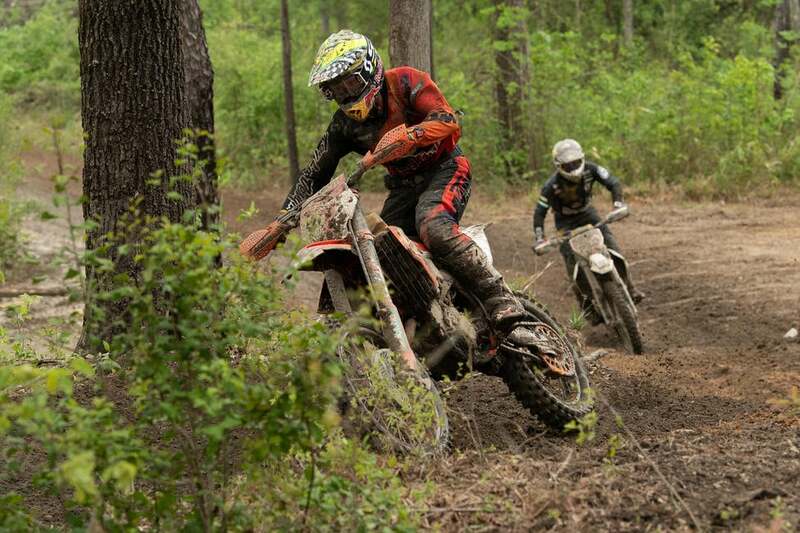 William O’Brien was presented the AMSOIL Moto Hero award at the Camp Coker Bullet GNCC.